Delegates to the Democratic National Convention are now protected from unwanted protesters by a giant double-wall border fence. The border fence was doubled to make sure people without proper documentation could not illegally enter the convention area. Senator Jeff Sessions (R-AL) pointed out the hypocrisy of the Democrats in building a wall around their convention when they refuse to build a wall to secure the American border with Mexico, Breitbart News’ Neil Munro reported in June. 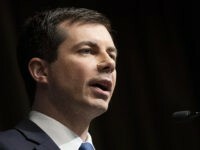 “It’s interesting that the Democratic National Committee will have a wall around their convention to keep unapproved people out while at the same time, their presumptive nominee, Hillary Clinton, pushes for open borders policies that are even more radical than President Obama’s,” Sessions said in written statement. 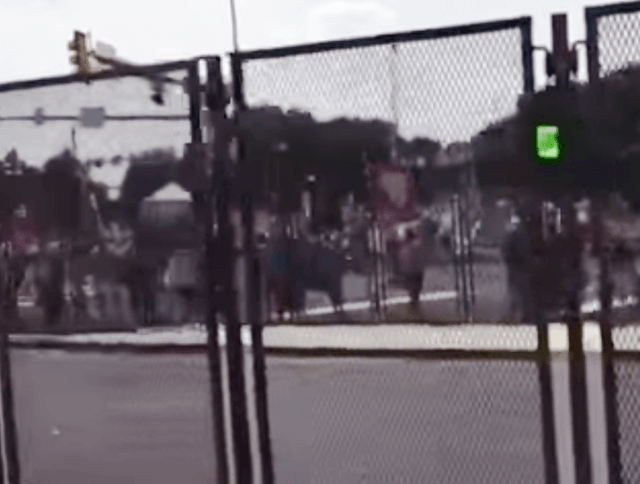 Breitbart News Senior Editor-in-Chief Joel Pollak shot video of the double-walled border fence during the second day of the Democratic National Convention in Philadelphia. Protesters standing behind the fence that securely kept them out of the convention area could be seen holding a number of signs.